Good luck in Seattle. I hope the two GSA posters receive plenty of interest. How is the relationship with the sponge symbiotic? I see how the forams may gain an advantage but how about the sponge? Great posters Macy and Dr. Wilson..
Good question, Dr. Wiles. The meaning of symbiosis has evolved recently. It now means more often simply living together, whether mutualistic, parasitic, or neutral. 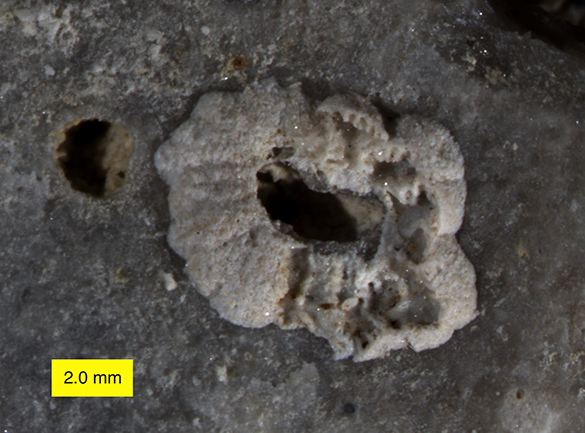 The sponge here likely was losing a bit of potential food to the forams.